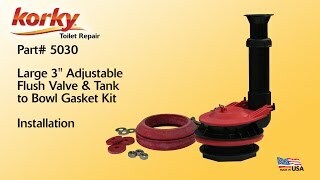 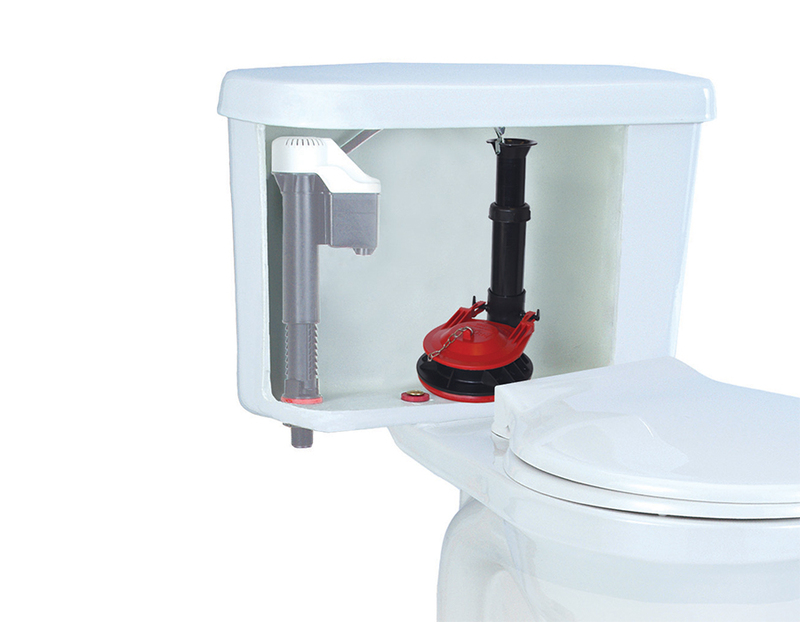 The Adjustable 3 inch Flush Valve and Tank to Bowl Gasket Kit fits specific toilet models made after 1997. 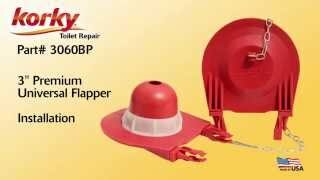 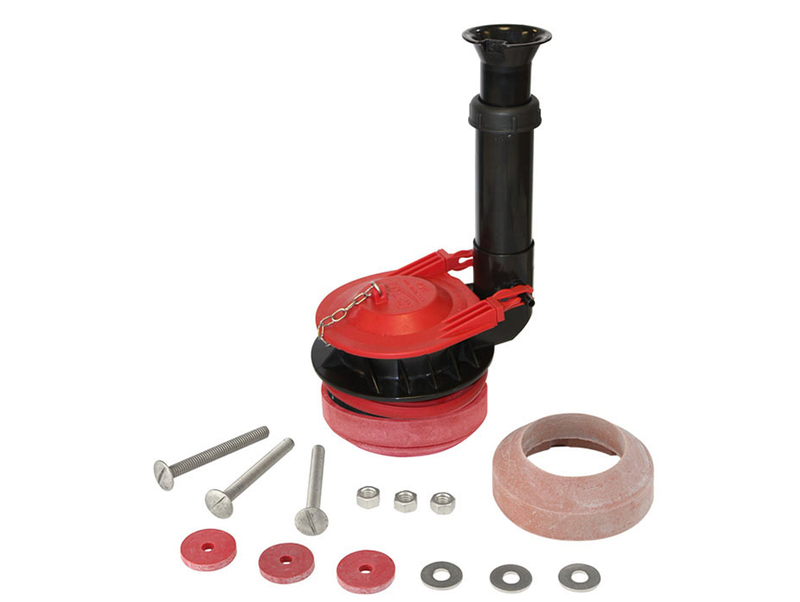 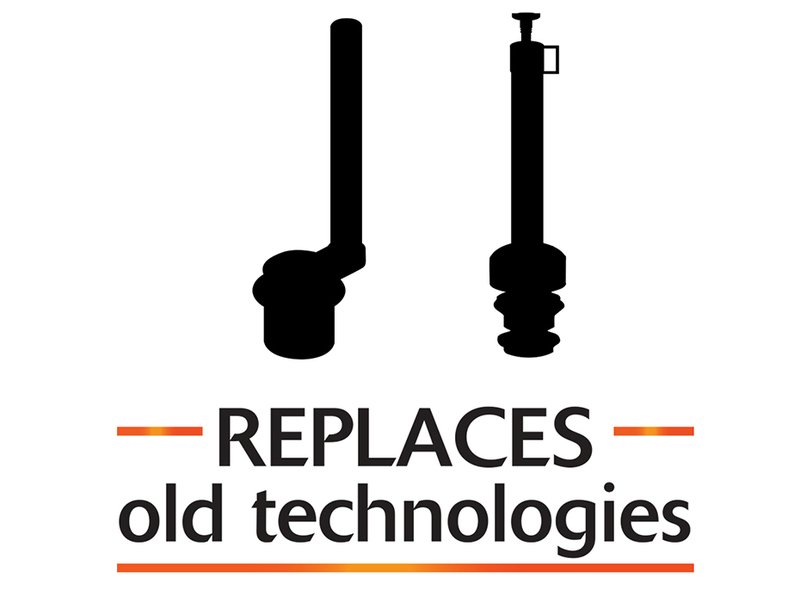 The toilet repair kit is quick and easy to install, the flush valve height easily adjusts from 7 inch to 11-1/2 inch, with no tools or hack sawing required. 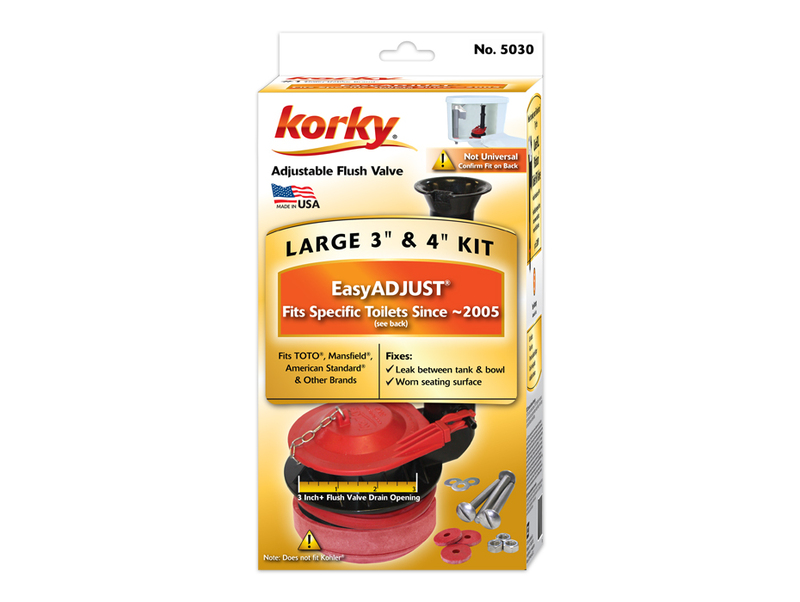 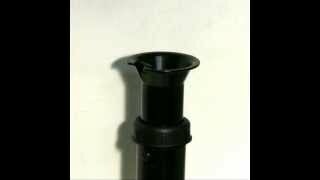 The oversized tube and funnel reduce flood risk while the included premium flapper and tank to bowl gasket ensure a tight, leak-proof fit. 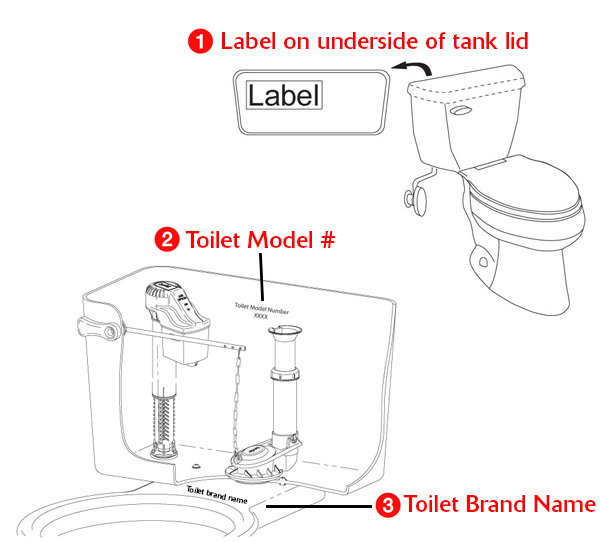 The kit fits most 3 inch 2-piece toilet tanks, but does not fit any Kohler toilets. 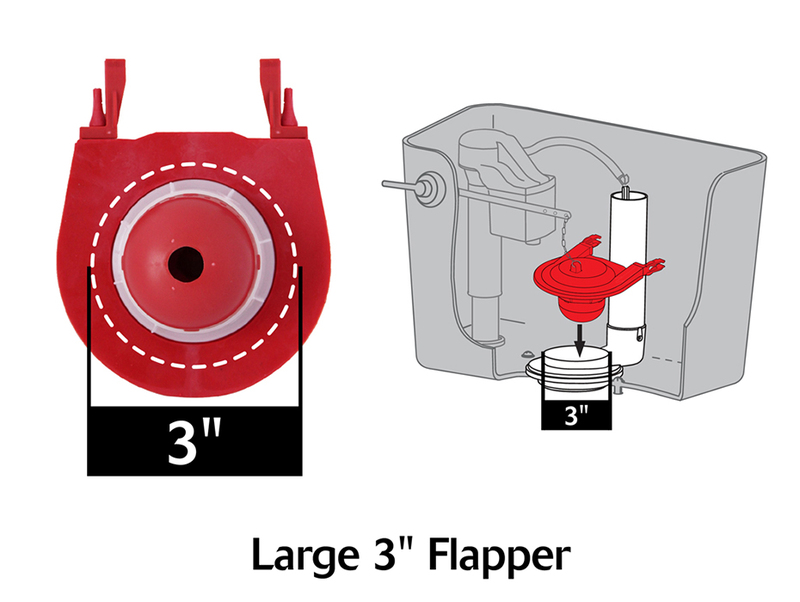 Easy to install, the 5030 toilet parts include: (1) Large 3 inch- 4 inch Flush Valve, (1) Large Tank to Bowl Gasket, (1) Large 3 inch Premium Flapper, (1) Set of Hardware and (1) Instructions. 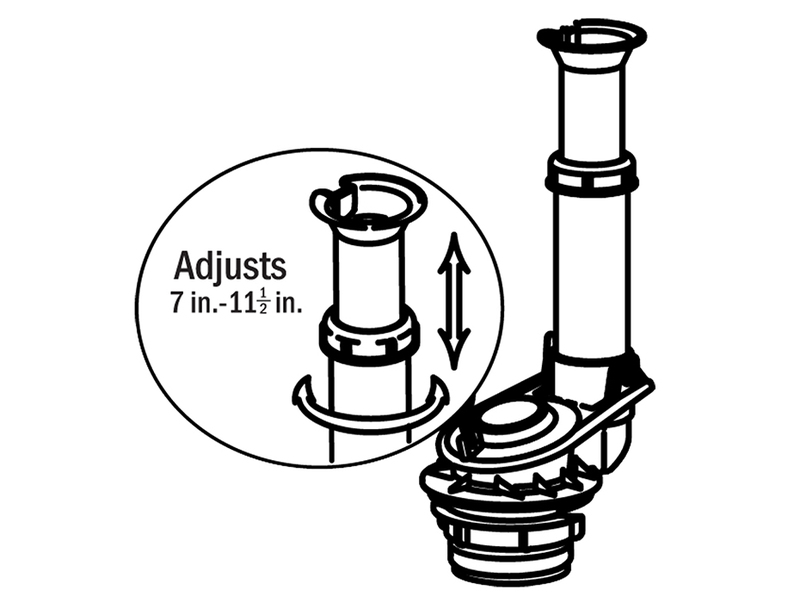 Please note: toilet flush valve does not fit Kohler toilets.